In this blog, I would like to tell you the story of carbon steel and the India connection. Carbon steel is the most used engineering material today and accounts for 85-90% of steel produced worldwide. To tell this story one must start at Salaudin and Richard the Great facing-off during the crusades. It is said that Richard the Great cut through a tree trunk with one swipe of his sword to show his might and the capability of his sword. In response, Salaudin is purported to have just tossed a silk scarf into the air and let it slide off his blade’s edge, cleanly cutting it into two. Richard recognized that it was indeed a great sword that could cleave free falling soft material without the use of any force. Salaudin’s sword was known to be a Damascine sword. There is now a general agreement that the Damascus steel which made its way into the western world through the crusades was produced in India rather than in Damascus. This steel was known as Wootz steel, potentially derived from the word ‘ukku’ which means steel in Telugu and Kannada. Damascus swords were known to be extremely hard and flexible to the hilt and able to cleave a free-falling silk scarf or a block of wood with the same ease. A good person to talk to on this subject is Sharada Srinivasan. I first met her when her father, Dr. Srinivasan, retired director of the Bhabha Atomic Research Center, gave a talk at my invitation to the GE Global Research team at Bangalore. I was surprised to know that a field such as archaeometallurgy existed outside of Indiana Jones movies. Sharada has a Ph.D. in this area, and has worked on topics such as the pancha-loha(five metal alloys – traditionally described as alloys of gold, silver, copper, brass, and iron used in South Indian metal sculptures), and Wootz steel. In her paper on the topic, she concludes that high-grade ultra-high carbon steel was indeed produced by crucible processes in South India. High phosphor levels characterize the Wootz steel blades. This indicates that the material would not have enough tensile strength to resist stresses from cooling of traditional forging processes of the west. Hence, the forging techniques must have been different than those used for other types of steel known in the western world. Heat treatment techniques would require decarburizing the surface and producing a low-carbon ductile surface rim that protected the interior regions during the cooling process. The surface decarburized regions are ground off to produce the characteristic surface patterns of Wootz steel. The grinding process itself might not have been simple. 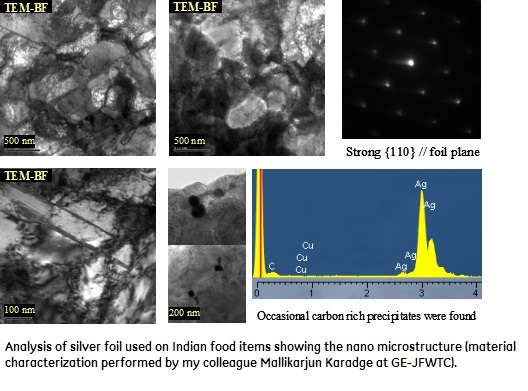 In addition to carbon steel, there are several examples of India’s leadership in material technologies including cast steel used for Tippu’s rockets and nano-silver used to cover Indian food items. 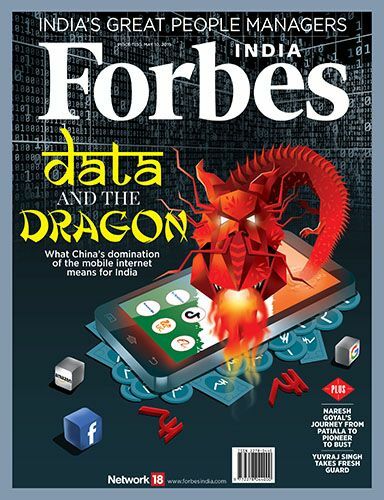 With the appearance on the scene of intensive studies of mathematics, science, technology and medicine in great non-European civilization, debate is likely to sharpen, for the failure of China and India to give rise to distinctively modern science while being ahead of Europe for fourteen previous centuries. The rockets and musketry from 20,000 of the enemy were incessant. No hail could be thicker. Every illumination of blue light was accompanied by a shower of rockets, some of which entered the head of the column, passing through the rear, causing death, wounds, and dreadful lacerations from the long bamboos of twenty or thirty feet, which are invariably attached to them. It is also known that William Congreve exported the Indian rocket technology and further developed it into what are now known as Congreve Rockets, which were successfully used in later wars by the British. Roddam also concludes that the success of Congreve’s improvements was due to the understanding and application of Newton’s laws of motion and systematic approach to research. Currently nano silver is being used in microcidal applications from washing machines to wound healing. For the longest time silver beaten into thin sheets has been used on our sweet meats and on pan (betel leaf with various admixture inside). 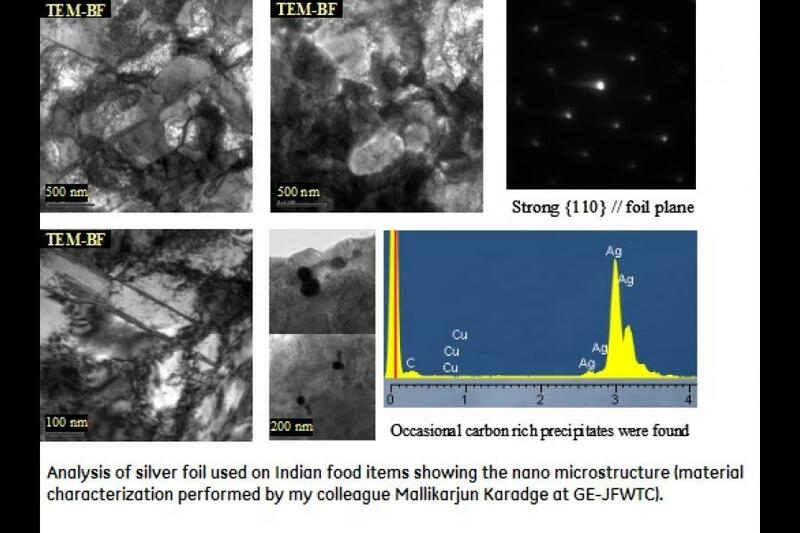 I picked-up a few sheets of these silver foils to verify their nanostructure and the results from transmission electron microscope analysis verify the purity of silver (very few precipitates high in carbon) and the existence of a nano microstructure with severe deformation. Current research points to the anti-viral, anti-inflammatory, re-epitheliazation, and anti-hemorrhagic properties of silver in its nano form. It is really interesting that the way silver gets its nano structure in this case is by taking normal metallic silver and pounding it (traditionally between animal intestine layers) to its nano form! This age-old knowledge from India is luckily not a lost art, and is being rediscovered by the scientists of the new millennium. Composites have been used for several centuries in many different forms. A composite material is an engineered structure made up of two or more materials with different material properties and the differences in properties produce a synergistically stronger and lighter structure for the purposes of structural use. Recent advances in composite technology have made it possible to mold large structural parts with high strengths and resistance to impact. Also, Ceramic Matrix Composites are increasingly being deployed to take advantage of the high-temperature properties of ceramics and at the same time overcome the brittleness of monolithic ceramics. Furthermore, the interest in green products has driven the use of natural fiber in composites. In the distant horizon, the possibility exists to build automotive, rail, and airframe structures using high strength composites that are biodegradable under certain specially designed trigger conditions. Superconductor research has not yet hit the critical point due to the fact that the temperature at which superconductivity is achieved is not practical for most applications. However, with the theories behind superconductivity and the various compounds with superconductivity being intensively researched, the probability of hitting a critical point in superconductivity exists which would throw open several electro-mechanical and medical applications. Rare earth magnets have been around for past few decades, however the cost points were not at a place to meet large scale needs. Rare earth magnets are 10-20 times stronger than other permanent magnets. With most of the technology around rare-earth magnets coming out of patents in the 2003, the costs have dropped setting into motion wider use of rare-earth magnets in several applications replacing wound copper coil magnet configurations. Additionally, with the confluence of nanotechnology and rare-earth materials, the possibility now exists to dramatically improve the power and efficiency of electric machines and other power systems including the possibility of wireless power transfer, and efficient automotives. Another area of materials’ research that will create a huge impact is that of meta-materials – man made materials that exhibit properties based on structure rather than composition. As an example, it is feasible to build negative refractive index meta-materials (something not observed in nature) - this will enable much better optical instrumentation for entertainment, medicine, and microscopy, and eventually extend its reach to higher efficiency machines and power-systems. As we move forward, India has every opportunity to develop leadership in materials and use this to solve tough problems in healthcare, energy and transportation for India and the world. A particular focus, in my opinion, should be composite materials. Driven by the use of composites in the Indian aerospace industry (rockets, satellites, missiles, light combat aircraft, advanced light helicopter), we have fairly mature capabilities in the area of composite structures. Technical assistance and soft loans from the Technology Information Forecasting and Assessment Council (TIFAC), a unit of the Department of Science and Technology as well other government initiatives are in the right direction to enhance India’s capabilities. Joint ventures and global collaborations are now required to ensure India works at the leading edge of the technology and gets better at raw material development while further strengthening the applications end of capabilities. It will be great to aim for a century of Indian materials. Remember the Damascus Sword! V Balakrishnan steps down as Infosys CFO. Is it good for the company?